Your bones. Bones can become thinner and more brittle in old age, especially in women, sometimes resulting in the fragile bone condition called osteoporosis. Thinning bones and decreasing bone mass can put you at risk for falls that can easily result in broken bones. 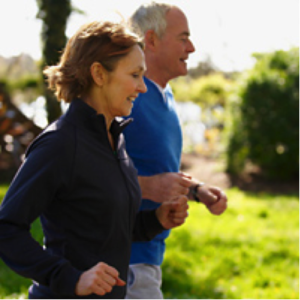 Be sure to talk with your physician about what you can do to prevent osteoporosis and falls. Your brain and nervous system. Getting older can cause changes in your reflexes and even your senses. While dementia is not a normal consequence of old age, it is common for people to experience some slight forgetfulness as they get older. Cells in the brain and nerves can be damaged by the formation of plaques and tangles, abnormalities that could eventually lead to dementia. Eat a healthy, well-balanced diet — dump the junk food in favor of fiber-rich, low-fat, and low-cholesterol eating. Don’t neglect yourself: Regular check-ups with your doctor, dentist, and optometrist are even more important now. Finally, taking care of your physical self is vital, but it’s important that you tend to your emotional health as well.Reap the rewards of your long life, and enjoy each and every day. Now is the time to savor good health and happiness.